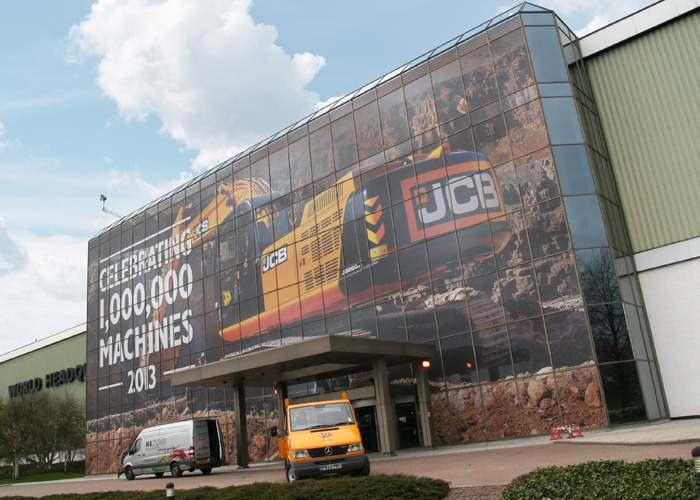 There is a Contravision Window Graphics solution suitable for almost any situation. Most installations take place on the internal face of glass as this ensures a longer life for the film. However, for occasions when an internal fitting isn’t possible, there are also a range of products suitable for external installation. This is the most commonly understood method of creating one-way graphics, by printing onto a perforated film. The one-way effect can be achieved in two ways; the first option is to print directly onto the film using traditional CMYK colour printing process. The alternative is to print the image in reverse onto the back of the film, followed by a layer of white ink, then a layer of black. This process ensures that the graphics are visible from the outside, whilst the view is maintained from the interior. Once it is digitally printed with your message and installed you are able see out but people cannot see in clearly. Contravision is a very cost effective way to increase privacy with the added benefit of using free space to promote your business. High impact window graphics that are see through also have the added benefit of reducing heat and glare from the sun.